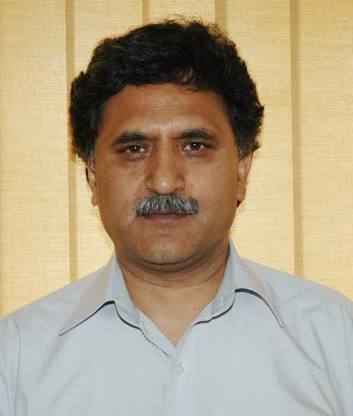 Srinagar, March 5 : Advisor to Governor, Khurshid Ahmad Ganai on Tuesday said that education is imperative for the overall growth of the State. Addressing a gathering after laying the foundation stone of new Government Degree College at Aloochi Bagh, here in the summer capital, Ganai said that access to quality education plays an immense role in the development of the society. The Advisor was accompanied by Deputy Commissioner, Srinagar, Dr Shahid Iqbal Choudhary, SSP, Dr. haseeb Moghal, Nodal Principal, Amar Singh College, Prof Shaheen Altaf, Srinagar, Principal Women College, MA Road, Srinagar, Prof Yasmeen Ashai, besides other Principals of various city colleges and officials from Higher Education department and department of R&B. Later, Advisor Ganai laid foundation stone of another new Government degree college at Eidgah. He interacted with the officials and directed them to work in close coordination for timely completion of the projects. The Advisor said that the twin colleges will have quality educational facilities for the students and an effective monitoring mechanism will be put in place for infrastructure development. He said that the Governor’s administration is committed to provide every facility for the betterment of education in the state. The Advisor was informed that the college projects are being executed by Public Works Department (R&B). Later, Ganai along with the Deputy Commissioner interacted with the locals at both the places and listened to their demands and grievances. He assured that all their genuine demands would be addressed.